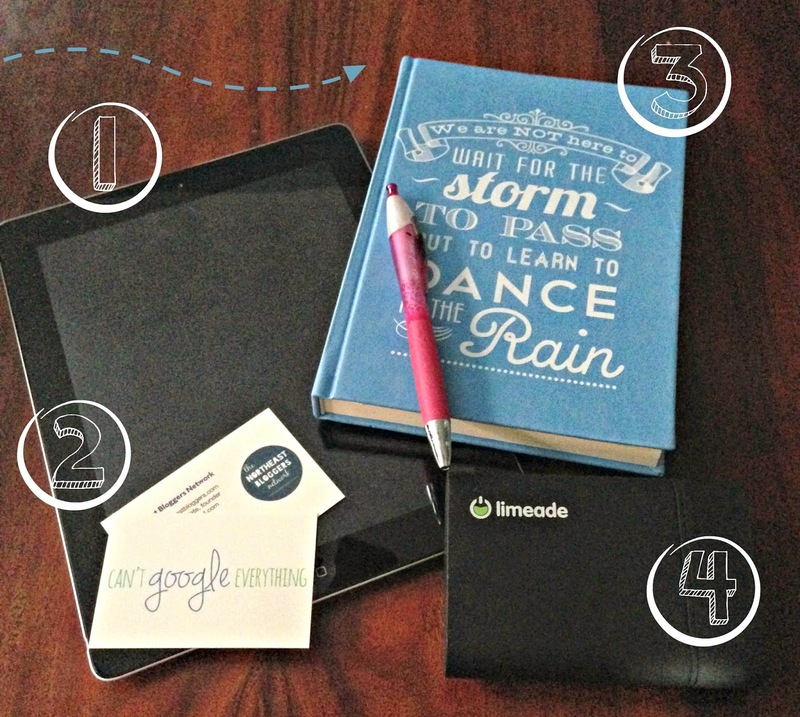 What to bring to a Blogging Conference and a $500 Target Giftcard Giveaway! 1. My ipad: I decided to bring my ipad instead of my computer because it’s much easier to carry around and the conference leaders advised against bringing your laptop so you wouldn’t have your nose in it the whole time! But, I wanted to bring something in case I needed to pull up any websites or take notes to email myself, and it’s much easier to type quickly on an ipad than my phone! 2. Blog business cards: These are brand new and I’m so excited to use them this weekend! I have one for my personal blog (this one) and one for Northeast Bloggers. I think I will also bring a little change purse to put all the cards people give me in so I don’t lose any! 3. A notebook and pen: everyone says it’s a good idea to take notes at these conferences and I already had this cute notebook so why not bring it? Sometimes it’s easier to just jot things down real quick on a real piece of paper! 4. A portable iphone charger: because you know I will run out of charge in about 30 minutes and us bloggers need to have our phones at all times! Not pictured: my planner, my iphone (since I took this picture with it! ), and I might throw in a few snacks just in case! What else would you add? What have you found useful to bring to a blogging conference? And now for the real reason you’re here- the giveaway! Create a video using the OneDay app. 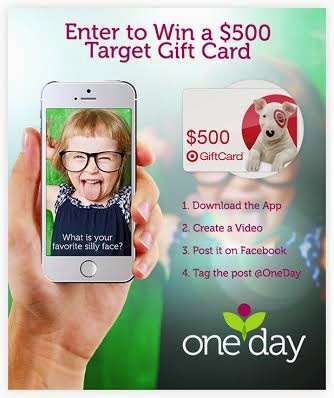 Share your video to your Facebook page and be SURE to tag @OneDay in your post! The winner will be selected randomly from everyone who shares and tags their video on Facebook. This contest will end October 8th at 8 pm EST! You must be 18 years of age or older to enter. Good luck and have fun! The business cards look great! And I second the portable charger, everywhere. Is this the one in Philly? I always bring a notebook, charger, cardigan, bottle of water, lip balm! These are such good ideas! I definitely agree that you iPad will be much easier than a computer! I hope you have so much fun! Where are you headed for it? This is a great list Rachel! I love the business cards, where did you have them printed?